Are you wanting to add curb appeal to your home? 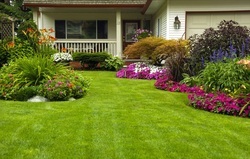 Are you wanting to landscape your home? Are you looking for the best company,to build you a beautiful environment? With Tree Trimming in Lubbock, we offer top notch services, affordable pricing and professional customer quality. We can meet all your outdoor needs.